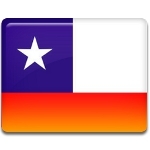 May 21 is Navy Day in Chile. This public holiday commemorates the Battle of Iquique that took place on May 21, 1879 during the War of the Pacific. The War of the Pacific was a large military campaign between Chile and allied Peru and Bolivia. The war outbroke due to the new taxes, that Bolivia imposed on a Chilean mining company. Chile protested against the taxes and declared war on Bolivia. Peru was also involved in the war since it signed a treaty of alliance with Bolivia. The Battle of Iquique was one of the navy battles of the War of the Pacific. It occurred on May 21, 1879 off the port of Iquiqie, that at that time belonged to Peru. Although the battle was won by Peru, the Chilean historians consider the battle as one of the most important factors, that led to the victory in the war. The day of the Battle of Iquique became a holiday in 1905 as Naval Glories Day. Nowadays the holiday is known as Navy Day. The celebrations scatter across the country. The major events took place in Santiago, Iquique and Valparaiso.